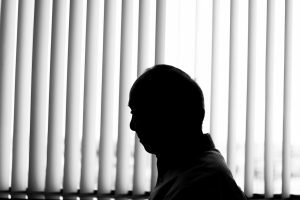 Across the nation, healthcare providers and organizations are growing concerned about social isolation among older adults. Based on current estimates from AARP, as many as 17% of older Americans aged 50+ suffer from social isolation. Recent studies have shown that older adults who feel lonely are at a greater risk of depression, dementia, stroke, heart disease, and high blood pressure. The health threat is as deadly as smoking 15 cigarettes a day and increases risk of premature death by 30%. This has become a growing epidemic among older adults. In an effort to explain social isolation, researches have described and defined as complete or near-complete lack of contact with other humans. This definition can be measured by the feeling of loneliness and the frequency of social contact. And compared to others across the nation, our community could possibly have a higher risk of isolation among older adults, as researchers say risk factors associated with isolation and loneliness include living alone, limited mobility, lower income, smaller social networks, speaking a language other than English, and belonging to a minority group. Even life events and changes such as the death of a spouse or close friend can lead to isolation. And while most studies look at older adults as the primary population, caregivers and family members are also at risk of isolation. Family caregivers and, in some cases, friends, are considered a pillar of long-term care. An estimated 65.7 million unpaid American caregivers are over the age of 50 and make up around 49% of all caregivers in the country. Caregivers, especially those who care for the chronically ill, are susceptible to isolation and are at risk of similar health problems. It is also worth noting that people caring for family members with Alzheimer’s disease are particularly vulnerable to isolation according to a finding in Social Science & Medicine journal. Due to caregiving demands, informal caregivers are faced with limited opportunities to maintain social networks and engage in social activities. And while being a caregiver is not necessarily predictive of social isolation, the many factors that surround providing care can contribute to the overall likelihood of experiencing social isolation. At the University of Connecticut, researchers found that caregivers who lived with a chronically ill family member were 2.5 times likely to experience isolation. In a separate study published in the Journal of Medical Internet Research, researchers found that support intervention for caregivers to engage in a social life was just as instrumental as physical, financial, and emotional support. Psychologists, social workers and public policy makers are looking at diverse intervention designs and programs to address the growing issue. Thus far intervention methods designed to prevent isolation among older adults have looked to target various aspects of people’s lives. Intervention studies have found that the most effective programs alleviate either or both objective and subjective forms of social isolation. For example, these methods can look to increase the quality of social activities and or increase the quantity of them. However, many researchers are still calling for more work to be done on how social isolation manifests to better design a prevention strategy. Aging seniors experience isolation for a variety of reasons and therefore may require unique needs. Like many organizations, Keiro is actively collaborating in with organizations both within and outside the Japanese American and Japanese community to help older adults and their caregivers build more robust social connections. From classes and conferences that bring people together to teaching about alternative methods of transportation, Keiro continues to work towards innovative and practical solutions to the issues around social isolation.